Political parties should commit to ridding Scotland of the ‘scourge’ of cold homes by 2025, said campaigners today. The call by the Existing Homes Alliance, whose members include the SFHA, WWF Scotland, Changeworks and National Insulation Association, follows the publication of newly compiled data which revealed that there are up to 1.5 million cold homes in the country – with tens of thousands in every single parliamentary constituency. “These figures show that if the next Scottish Government set an objective to bring all homes in Scotland to at least a ‘C’ energy performance standard by 2025, they could end the scourge of cold homes currently affecting thousands of households in every single parliamentary constituency across Scotland. “These figures illustrate what a challenge fuel poverty is in Scotland and highlight the need for greater investment in the energy efficiency of Scotland’s homes. 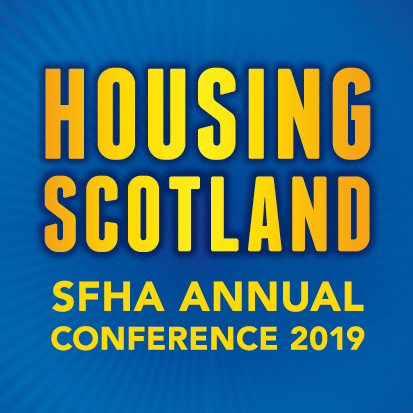 That is why the SFHA is calling for Scotland’s next government to set a target that all homes should have a minimum energy efficiency rating by 2025. Setting this standard and, crucially, providing the necessary funding to support it, would reduce fuel poverty and improve the health of people currently living in cold, damp homes. “The investment in insulation and other measures would also create jobs in communities across Scotland. An estimated 1,482,000 households in Scotland currently live in a home that is ‘unhealthily cold’, that is rated below a C EPC (Energy Performance Certificate) standard. The National Institute of Health and Care Excellence (NICE) has recommended that, as a minimum, properties should be raised to an EPC band C and ideally to a band B to help reduce the risk of death and ill health associated with living in a cold home. This is 62% of households in Scotland. The figures show that the households in the lowest energy efficiency bands are more likely to be living in fuel poverty. There are seven constituencies in Scotland where more than 75% of households are estimated to be living in a cold home: Na h-Eileanan an Iar; Skye, Lochaber and Badenoch; Caithness, Sutherland and Ross; Shetland Islands; Orkney Islands; Argyll and Bute; and Banffshire and Buchan Coast. There are only three constituencies in Scotland where more than half of households are living in a home of an ‘acceptable’ energy efficiency rating (i.e. at least a C EPC standard): Glasgow Shettleston; Edinburgh Northern and Leith; and Glasgow Anniesland.